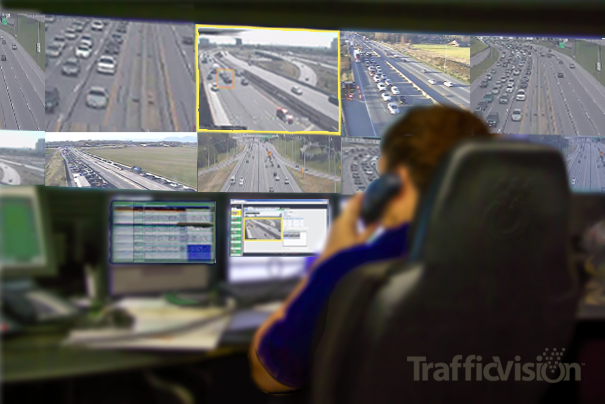 TrafficVision, a division of Omnibond, is pioneering a new generation of traffic monitoring and analytics technologies. Our highly versatile video-based data collection and incident detection solutions are setting new standards in accuracy under the least intrusive installation and operating conditions available. TrafficVision is a National Academy of Sciences TRB IDEA grant success story. Our patented tracking algorithms use a revolutionary per-vehicle tracking premise and are designed to work with existing cameras in changing light, field of view, and weather conditions -- a dramatic shift from the traditional limitations. Our goal is to help highway management agencies improve roadway safety and operational efficiency using their existing infrastructure. We continuously monitor and incorporate advances in cutting-edge computer vision research into our products to keep them at the forefront of traffic management solutions. TrafficVision has strongly supported research at top-tier institutions in the past and is committed to helping pioneer new advancements in ITS. Previous collaborations include studies with Texas A&M Transportation Institute (TTI) and the ENTERPRISE Pooled Fund, a multinational consortium dedicated to the advancement of ITS.